Our lavender scented shower gel is a gentle, low-foaming cleanser that is sulfate-free and paraben-free. 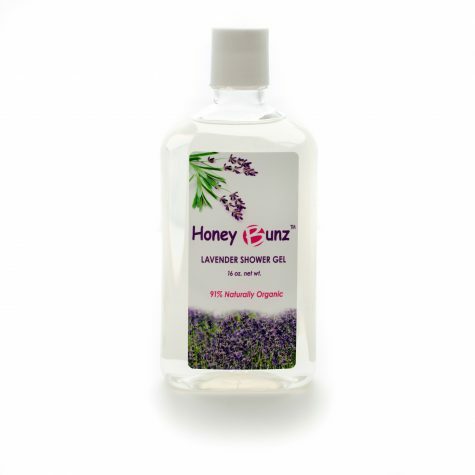 Calming and tranquil Honey Bunz™ shower gel unites the essences of Organic Lavender and Roman Chamomile to gently cleanse and nourish your skin. A serene way to soothe your senses. Safe for pregnant women and babies, too. Fills the bath with relaxation! For best results use with a natural loofa or sponge. Work gel into a rich lather, then rinse.